No, Textbooks Should Not Cost $200! In my daily browsing I came across an article on MSN by Liz Weston. In this article, she brings up some really good points about the textbook publishing model as a whole. What I found particularly interesting was her statements about textbooks STILL being fairly expensive essentially due to the secondhand/used textbook marketplace gaining in popularity. Textbook publishers are now forced to spread their costs out among more buyers, and they ensure this will inevitably happen by producing consistently “Updated” versions of their best selling textbooks. This forces many students to basically “think twice” before purchasing used textbooks, as they might be missing some updated, integral sections that they will need to reference at some point during their courses. Weston says: “The gradual shift toward digital or e-textbooks that’s already under way could help bring costs down by eliminating printing costs — although publishers will still face the remaining, typically more expensive upfront costs of having to pay writers, editors, designers, artists, the marketing staff and so on.” I think this illustrates what is slowly happening right now in the eTextbooks marketplace in terms of the textbook companies’ uncertainty of their overall ROI, should their companies choose to start focusing on digital textbooks. Companies understood the profit model in terms of traditional textbooks, but eTextbooks are very new and “uncharted” territory…so in my opinion the major textbook publishing companies are treading VERY lightly for now. We are starting to see the popular textbook publishers partner up with some innovative tech companies and break ground on the digital learning scene, and things are looking to pick up rapidly here in 2012. Another semi-related article I just finished reading on Yahoo discusses the Pro’s and Con’s of online learning in general. The Pro’s are fairly obvious to most students nowadays, as chances are they have taken at least one digital learning or “distance learning” course as a part of their requirements for their major. 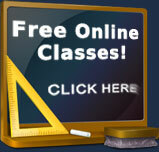 The major benefit most students will tell you is the convenience these online courses provide. No need to get out of the house and drive to a classroom, you can just pull out your laptop and get right to work. The Cons mentioned within the article bring up the fact that since digital learning is done independently (without a physical classroom to attend and professors to interact with, etc), it naturally requires a lot more individual rersponsibility and discipline on behalf of the student. The Yahoo Education article states: “Based on responses from more than 2,500 colleges and universities, a study supported by the Alfred P. Sloan Foundation stated that academic leaders cited a “need for more discipline on the part of online students as the most critical barrier.” I believe that this is something that students themselves need to address as soon as possible, because it is clear that many educators today do not believe the majority of students have the necessary discipline required to pursue online learning in a responsible manner. Students need to get instructors on board with the digital learning scene, as both students and teachers are the primary beneficiaries of the online learning revolution. Of all the groups involved in the traditional textbook publishing model (textbook publishers, Colleges, Government, Foundations, etc) teachers and students NEED to work together to bring about positive changes and rapid growth within the digital learning scene. Posted October 28, 2011 on our Blog.